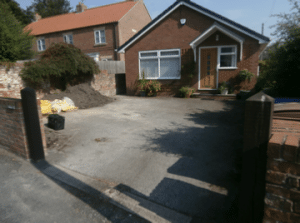 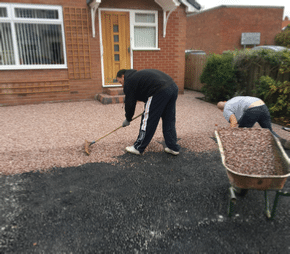 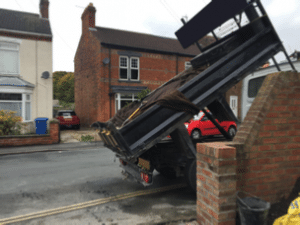 We were asked to look and replacing this driveway in Hedon. 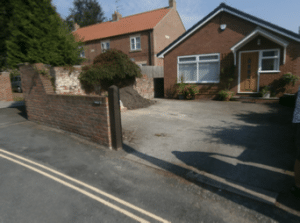 Anyone who knows the village will understand that parking is at a premium in the older parts of the village and this particular bungalow was no exception. 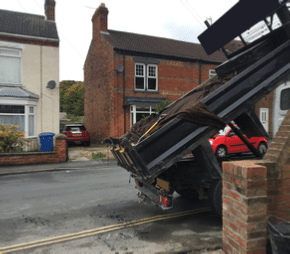 The general idea was to remove the front wall which was unstable and open up most of the entrance for parking. 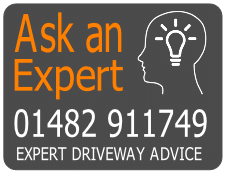 Extra parking is always a good thing but in this particular case it would allow our customer to park two cars instead of one so the parking room would be doubled. 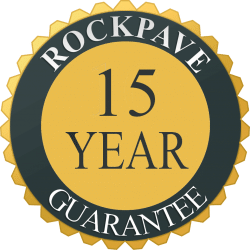 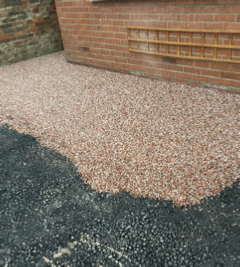 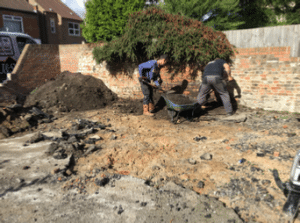 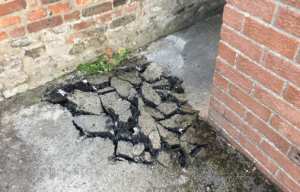 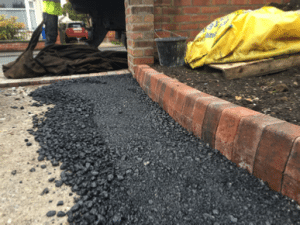 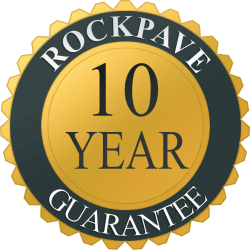 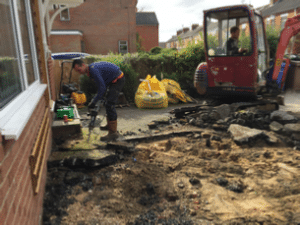 We dug out the old Asphalt (which had sunken over the years) and created a stable foundation and edge stones in preparation for the new Tarmac and resin bound layers. 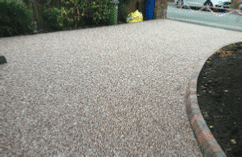 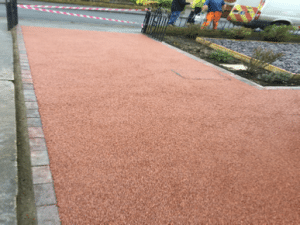 Resin bound surfacing needs a sold base and a hard edge to contain it. 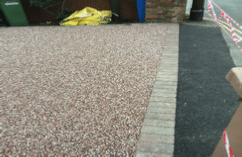 The do this we installed block pavers to the free edges. 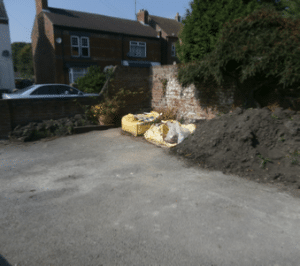 Our customer didn’t want the space to look like it was all parking so we suggested a curved flower bed which could be filled with plants. 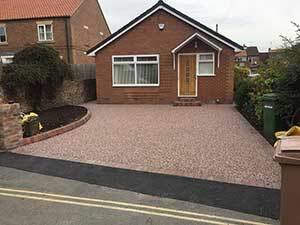 They were keen gardeners and we knew they would soon have it looking amazing. 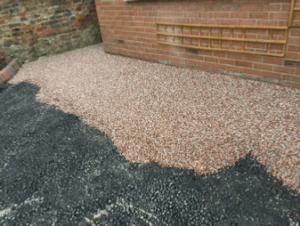 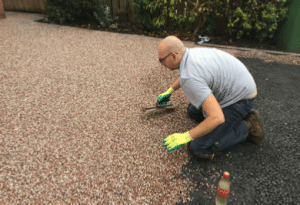 Once the edges were done and the new Tarmac had been allowed to oxidise for a couple of weeks we installed the final resin bound layer. 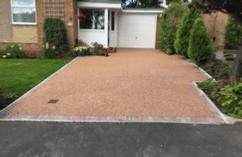 Within 48 hours the surface was usable and the customer was very pleased indeed. 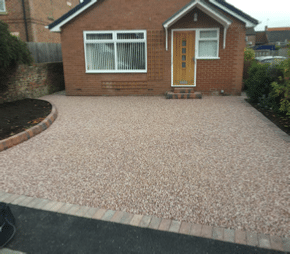 We were happy with the end result too. 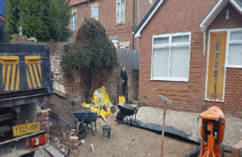 Makes perfect sense to have the extra parking when you have a such a nice garden to the back. 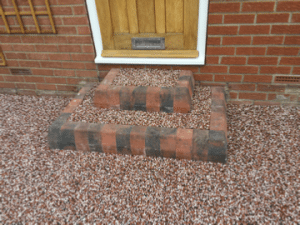 There is also a health and safety element to the plan too as it’s now much easier to reverse in and out.